Sure, everyone’s speculating about the iPhone 5 and the iPad Mini right now. But let’s not forget that Apple’s current top competitor, Samsung, is already working on new smartphones and tablets that have consistently challenged the dominance of iOS devices. One such device that may just be on its way is the next version of their successful smartphone-tablet hybrid, or “phablet,” the Samsung Galaxy Note 2. According to various “reputable sources,” the Korean-based company is gearing up for an August 15 unveiling of a new Galaxy product which everybody is speculating to be the Samsung Galaxy Note 2. Initially, rumor mills pointed to an August 30 release date, in time for IFA 2012 and seemingly a nod to the original Galaxy Note’s reveal which happened in Berlin during last year’s IFA. The Galaxy Note 2 is expected to sell at around $900-1000 (without a contract), similar to the launch price of the original Note device. Sure, it’s not going to cheap but then again, no flagship phones are. So what will your $1000 get you? Reports are saying that the Samsung Galaxy Note 2 will be receiving a slight upgrade to 5.5 inches screen from its predecessor’s 5.3 inches. The screen will also have a Super AMOLED display (perhaps even a Super AMOLED HD Plus) and a resolution of 1280×720. And since it’s at the top of the price scale, it will also have a top of the line processor. Currently, people are hoping that it gets a 2 GHz Exynos 5250 dual-core, the same processor that the Samsung Galaxy SIII was rumored to get but we all know how that turned out. It’s highly possible that the Samsung Galaxy Note 2 will be getting the same 1.4 GHz quad-core processor (possibly overclocked to 1.6 GHz) that’s currently powering the Samsung Galaxy SIII. Are you willing to wait until September to get the iPhone 5? 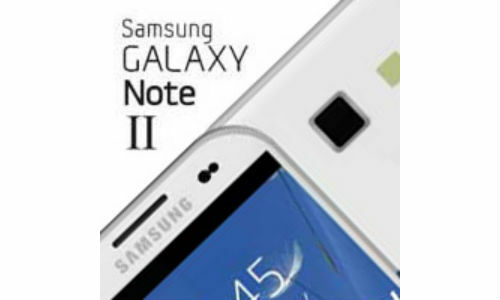 Or are the Samsung Galaxy Note 2’s rumored features enough to convince you to jump to the Android bandwagon?